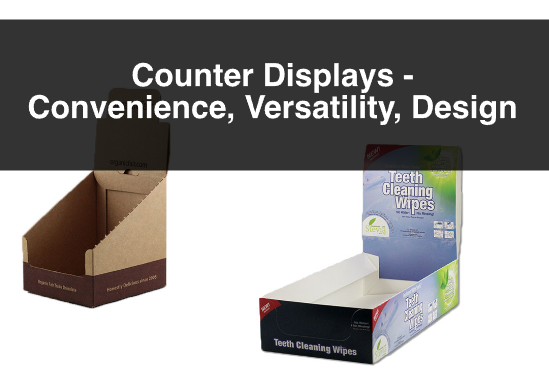 In previous posts we have emphasized how important it is to include your packaging as part of your marketing strategy. Similarly to advertising and marketing campaigns, there are goals, a time limit and results. After measuring the results of a campaign, a company should reassess and adapt according to the results. It is no different with packaging. After a certain amount of time, a company should reassess and decide whether or not it is time to refresh its packaging efforts. 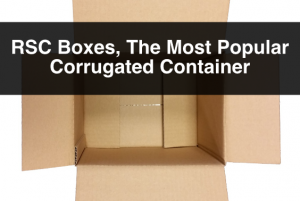 In this post we will explain a few elements to consider, and a few questions to ask when thinking about changing your packaging strategy. Again, this should be a strategy, and strategies have Specific, Measurable, Attainable, Realistic and Timely (S.M.A.R.T) goals. Your packaging goals should be aligned with your marketing goals so that there is a tangible benefit at the end. A very broad goal is to increase sales, or to increase brand awareness. 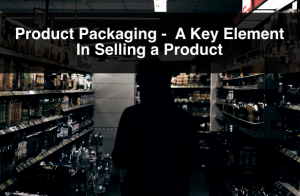 A good way to go about establishing a retail packaging goal, that is aligned with a marketing goal, is to follow the SMART guidelines. For example, To increase a certain product’s sales by X%, amongst women ages 25 to 35, at retail stores, by the en of 2017. After re-evaluating and setting new goals, a second element to consider is the cost. Now, it is important to keep in mind what the cost of a change in packaging is compare to the potential increase in sales. Consider different materials and designs. The idea is not to make your packaging cheaper than the one you were previously using. It is to revitalize it. 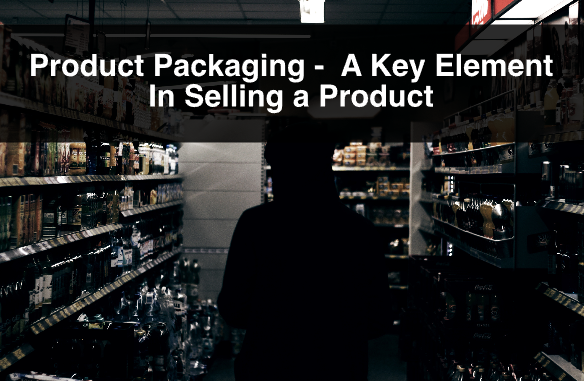 If you are listening to your customer and find out what persuades them to purchase, implement it in your new packaging design. It will help with reaching your goals. Always keep an eye on what your direct competitors are doing. Specially, if you know that they are doing well with sales and market share. It is a great idea to benchmark! However, this does not mean that you have to copy your competitor’s packaging, but it is worth taking a look at what is making it perform well with its audience. Don’t only look at the physical packaging, but look at their strategy. Where are they placed in the shelves? Are they using floor displays or counter displays? Consider every aspect of your competition’s packaging strategy and apply the effective, and discard the ineffective. 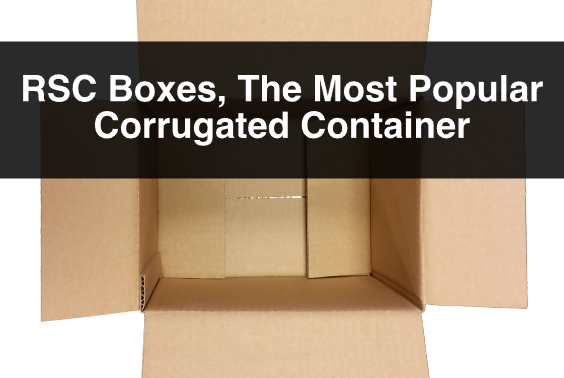 Now if you are asking yourself if you should go green with your packaging, the answer is YES! If your product allows for your packaging to be sustainable, try to do so. There are great opportunities to create great packaging using sustainable raw materials such as vegetable ink, and recycled materials. Sometimes using less packaging can create better packaging. In this day and age, consumers are educated about sustainability and are demanding that companies use environmentally friendly processes and materials. 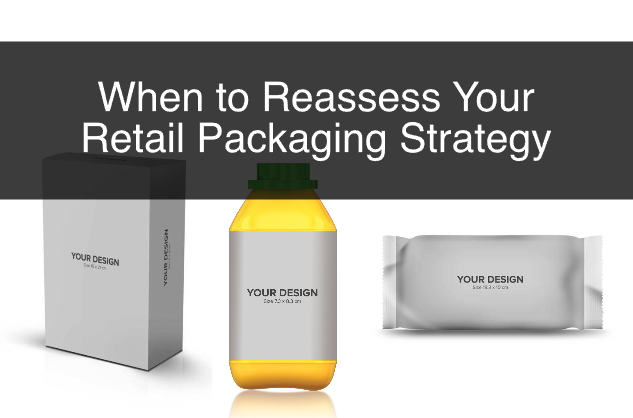 Finally, addressing these points may help you influence your decision whether you should change your retail packaging strategy. For more information, or questions about retail packaging or packaging design please contact us. Also, sign up to our newsletter for more information, company updates, price specials, and more.